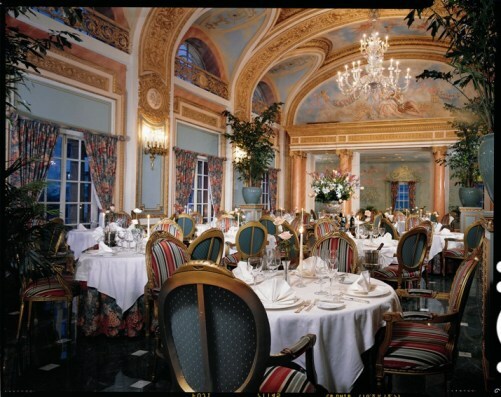 Nationally recognized and critically acclaimed, The French Room at The Adolphus has been described by the New York Times as �a Louis XV fantasy on the prairie . . . indisputably the most striking and sumptuous restaurant in Dallas. The French Room is recognized as a product of a culinary revolution that began in France in the 1970s. Chef Weaver cooks with the exactitude of a mathematician, selecting his ingredients as meticulously as a poet chooses his words. Each dish incorporates the highest quality ingredients chosen at the peak of their season. Their rich and distinctive flavors are achieved through reductions of vegetable stocks, purees and emulsions, rather than relying solely on butter and cream. The service, under the watchful eye of Maitre d�Hotel Jim Donohue, is smooth, unobtrusive and unflappable. The French room promises a fine Parisian fine dining experience in the heart of the South.